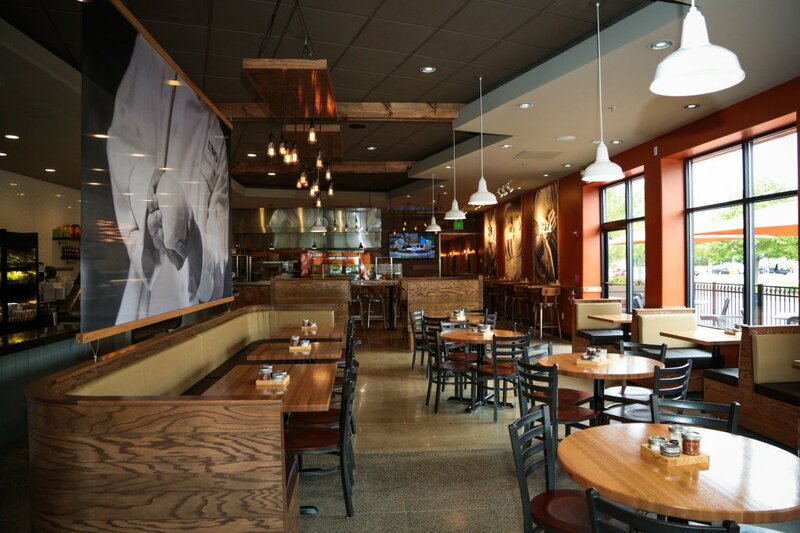 So, you can imagine how happy we were to have the opportunity to dine at the new UNO Fresco in Stoneham, MA. My children and husband were thrilled to help me review UNO Fresco. I didn’t have to say anything more than “deep dish” before they were jumping around chanting “pizza!” (my husband included). 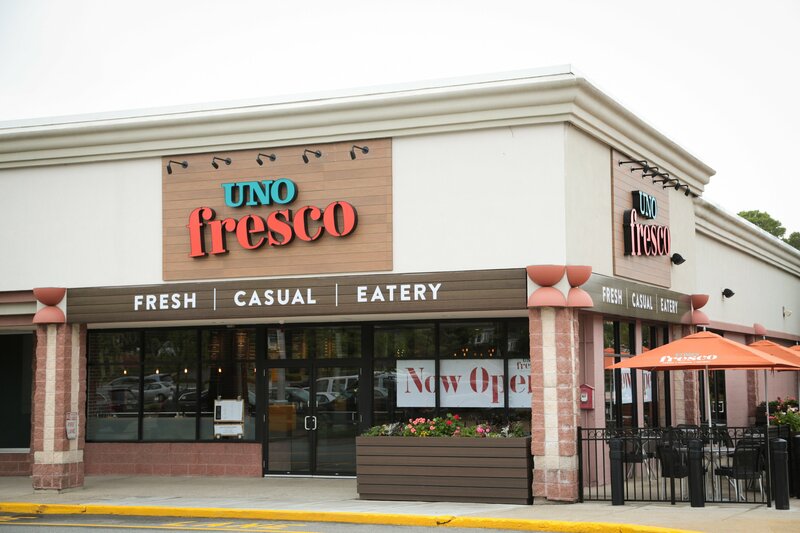 UNO Fresco has everything you expect from the UNO’s brand – great food, a beautiful and relaxed atmosphere and friendly employees. 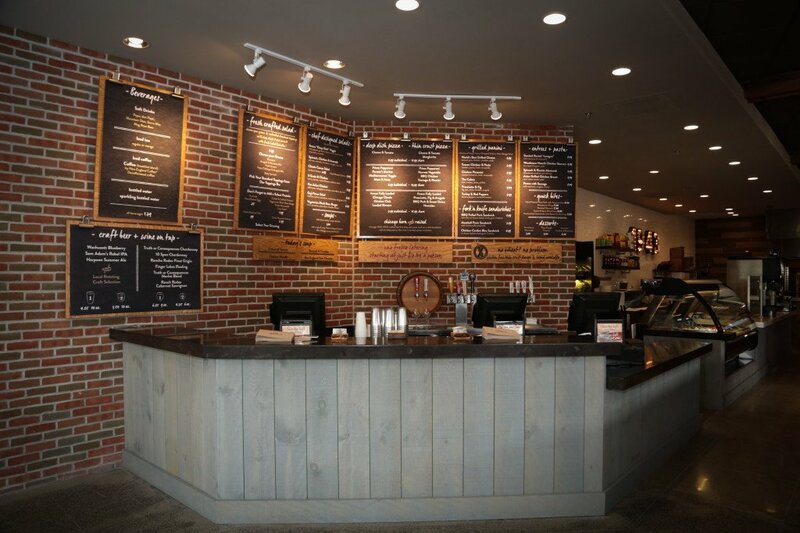 When you walk in you will be greeted by the UNO Fresco staff and will be able to peruse the menu and place your order. You can either place an order for carry out or dine in. My kids got to pick their kids meal off of the kids menu. Of course, they all chose pizza! 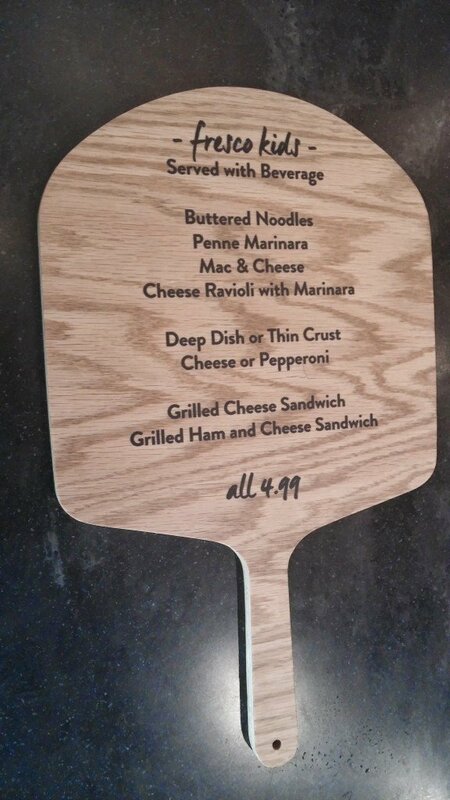 Below is what the Kids’ Menu looks like. Isn’t the menu a nice touch? While we were waiting for our food the kids got some dough to play with and we all got our drinks. 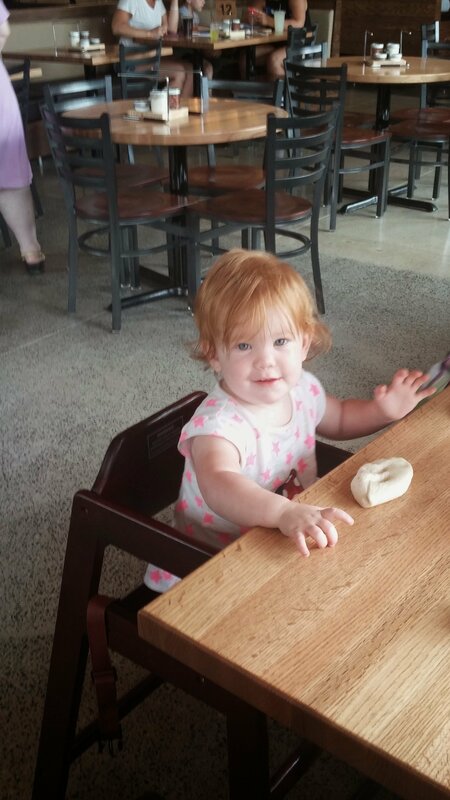 The dough was a huge hit and kept the kids busy until our food arrived. Our food took about 10-15 minutes to arrive. This seems like a very reasonable amount of time for food that is prepared to order. Here’s my littlest one with her play dough. We were very excited when our food arrived. 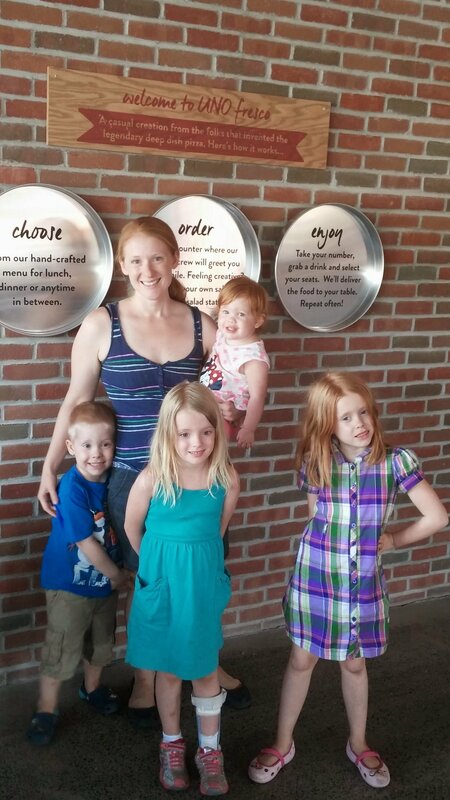 The kids and I had spent the day at the Stone Zoo and we were very hungry by the time we arrived at UNO Fresco. Here’s a look at the food because, well, that’s the most important part right? You can view the UNO Fresco full menu here. 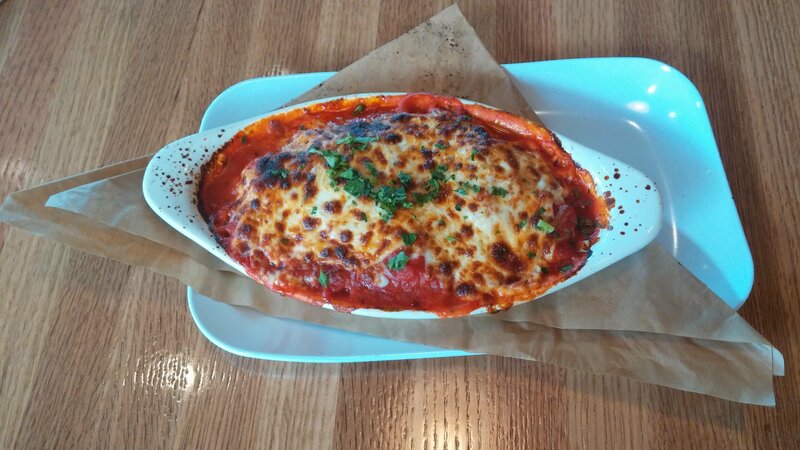 The food was great but what I like most about the new UNO Fresco is its family friendly environment. Going to a restaurant with four kids between the ages of 1-6 is an event. My one year old has discovered this wonderful thing called walking and wants to explore everything with her new found skill. 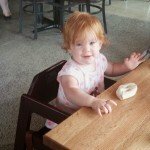 My four year old has never been able to sit well at restaurants and periodically gets up to jump or twirl or…you get the picture. My five year old is on a quest to tour every public bathroom, and will visit the bathroom at least twice during dinner. And, my six year old is an absolute chatter box. If we are sitting within 100 feet of another table she will engage them in a conversation. I love all of my children and their quirky little personalities but it’s not always easy to eat out. UNO Fresco was a perfect environment for my adorable but motley crew. My kids could be themselves and enjoy each other, and my husband and I could enjoy dinner. We left the restaurant stuffed and very happy with our experience. I had to show you one more picture because the restaurant is beautiful! If you are in the area I recommend dining with UNO Fresco. Dinner was the perfect end to a fun family day. I’m looking forward to visiting UNO Fresco again when my family and I are next in Stoneham. Disclosure: UNO Fresco hosted my family and I for dinner in exchange for this review. Yes, I will write for food! That said, all opinions are, as always, my own and those of my family. 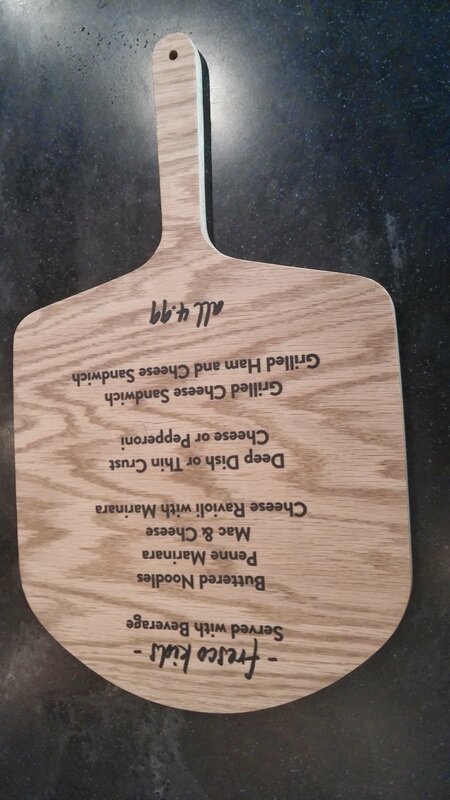 “A new twist on a pizza legend! 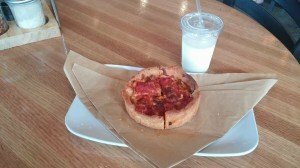 In 1943, UNO crafted the first deep dish Chicago Style pizza. With its deep, pastry-like crust, it started a pizza revolution. Building on that unique and innovative heritage, we bring the same passion for perfection to UNO fresco, a casual, come-as-you-are kind of place. Each pizza is handmade and created just for you. 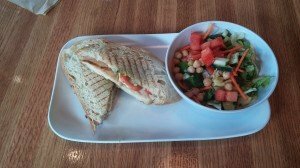 We also offer artisanal flatbreads, chef designed salads, grilled panini and distinct entrees; all made fresh on-premises every day.